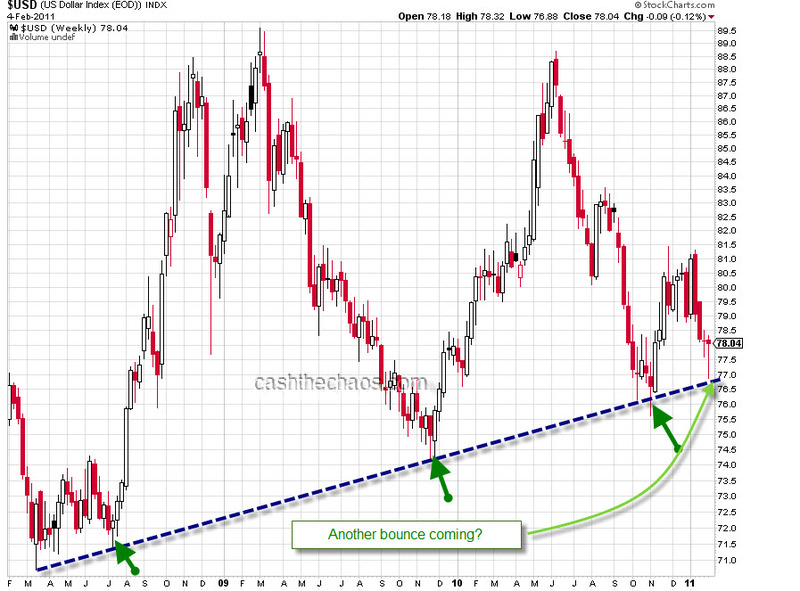 Dollar Index – another bounce on the cards? 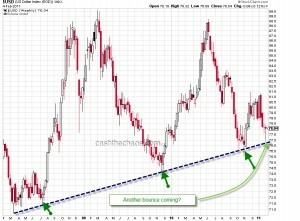 The trendline highlighted on the weekly charts has been a solid support for the Dollar Index despite consistent efforts by the Federal reserve to debase the currency. An ascent past 78.8-79 would increase the odds of this rally having more legs and clearing the 200 MA( currently placed at 81.61). The much awaited correction for the US markets could be close and those emerging markets stocks which have already been battered (like India) are likely to head even lower.